Discover the SunsUp experience and why we mean every word when we say, “We Care Enough To Do It Right!” That’s the SunsUp difference. Beautiful, clean facilities and friendly, knowledgeable staff with the absolute latest in products and professional equipment. Please, take a look around our site, visit one of our many fine locations and learn how you can feel your radiant best all year round! SunsUp Tan • Wellness • Spas takes great steps to maintain its reputation as the premiere tanning salon chain in the Pacific Northwest. With more than 16 locations and growing, SunsUp continues to provide the highest professional quality service and consistency that has put us on top. SunsUp Tan • Wellness • Spa was founded on the ideals that each experience should be the absolute best whether you are tanning for your first time or your hundredth. This is why we say “We care enough to do it right!” and if it’s not worth doing right it’s not worth doing at all. Our relationships with our customers are what we hold dear. 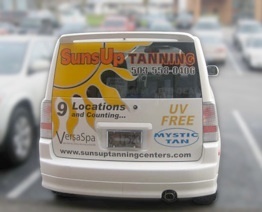 SunsUp Tan • Wellness • Spa is constantly searching for new products and offering expert advice to our customers. 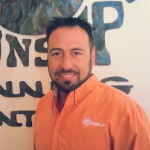 Recently, the owners of SunsUp have utilized their years of business experience to offer consulting to other independently owned across the nation. Karrera Consulting offers a complete solution for tanning salons dedicated to providing the best possible tanning experience! All of our staff is industry trained and state certified to provide optimal customer care and product knowledge. This makes all the difference. In the tanning world information is key, and with so many changes and findings in science and technology our staff members must stay on top and keep up to date. 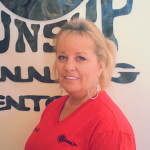 SunsUp requires more than 10 hours per week of update training for each of its staff members. With our in-house training team all of our SunPro members are kept abreast of changes and innovations in the tanning and wellness industry. 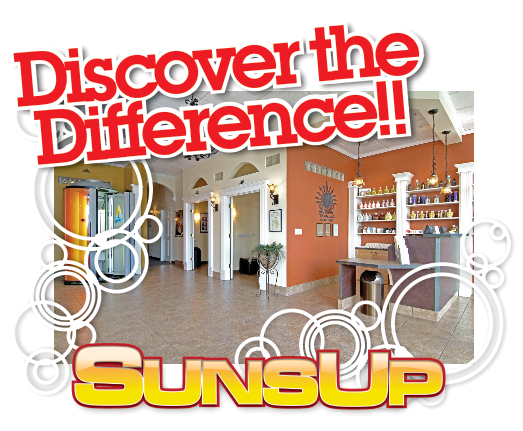 Helping our customers stay informed and educated is what has distinguishes SunsUp as a premiere tanning salon. Maintenance of our professional level wellness and tanning equipment is crucial to provide the safest and most effective results. We go above and beyond the manufacturers recommendations for upkeep and maintenance. Our maintenance team is trained and state certified and can remotely monitor all of our equipment performance via our linked information system. It’s these steps that help us provide the ultimate tanning experience. SunsUp has prided itself for years on working with some of the most talented people in the industry. We are so proud of each and every one of our employees we try to show them off any chance we get! These are just a few of the dedicated and talented Corporate staff here at SunsUp. We are lucky to have such a wonderful bunch! Looking for an exciting and rewarding career with great perks? Check out our Careers Page!